A Mortgage Consultant since 1999, Tai's motto is simple. "Experience. Results." Tai moved to Santa Cruz in 1984, before graduating from California State University, Chico with a Bachelor of Arts degree in 1991. 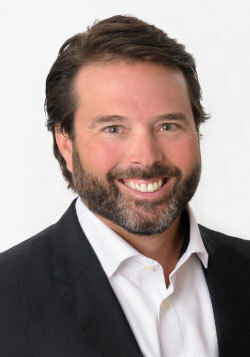 After several years managing a whitewater raft company in the Sierra Nevada foothills and a ski resort near Donner Summit, he returned to Santa Cruz to begin his successful career as a Mortgage Consultant in 1999. Tai has been a Top Producing Loan Originator in the Santa Cruz County Area for the past 18 years and counting. He is highly respected in the Mortgage and Real Estate Industry, hosting seminars, workshops and panel discussions for the public and Realtors alike. His extensive experience includes First Time Home Buyer programs offered by the local cities, County and State, VA and FHA loan programs, renovation loans such as the popular FHA 203(k), Homestyle and Homepath loans. Refinance and purchase loans, including jumbo loan programs. Along with the experienced local team at Santa Cruz Lending Group and extensive and talented support staff at Mason McDuffie Mortgage, Tai can tailor the loan programs to fit your needs based upon many factors such as your current income, your expectation of future earnings, and how long you plan to own the property. As a Direct Lender working with many large and small banks, he has access to most types of loan programs available. He has been licensed by the California Bureau of Real Estate since 1999.